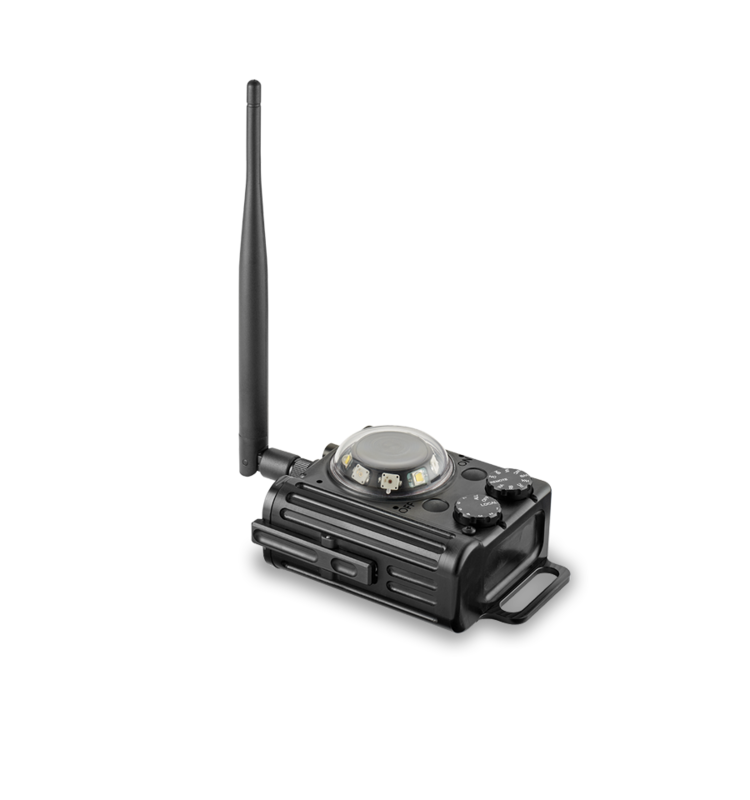 The Airfield Beacon is a compact remotely triggered beacon designed for marking covert airstrips and landing zones. Its UHF transceiver is programmed with seven discrete channels and can be remotely activated from a minimum of 2 km. With standard night vision goggles, it can be detected from 15 km. Every beacon doubles as a transmitter, capable of triggering any other beacon. It can be equipped with a variety of emitters in the visible and near IR wavebands. The “All” setting lets the operator turn on every beacon regardless of channel. 3 operating modes: continuous at medium power, continuous at high power and 1 Hz flashing at high power. Beacons can be placed on the ground or attached to stakes with internal magnets.